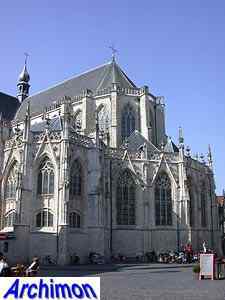 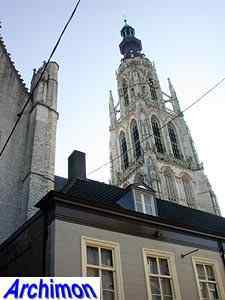 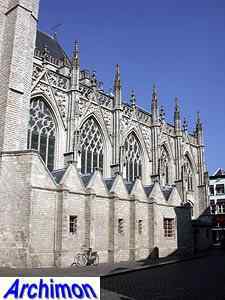 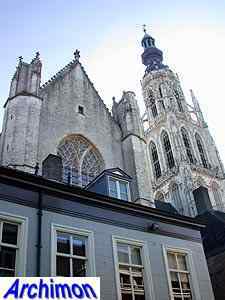 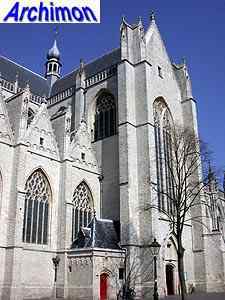 Breda's Great Church, or Church of Our Lady, is one of the prettiest examples of the Brabantine Gothic style, and the only one that was actually completely finished in The Netherlands. 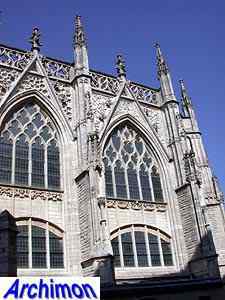 It is especially when the sun shines on its natural stone skin that its beauty becomes apparent. 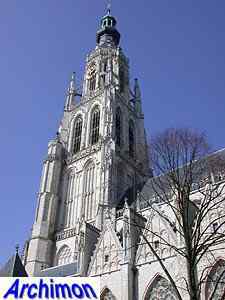 Until 1995 the church was covered with a coat of algae and moss, but after a restoration was completed in 1998 it looks better than before. 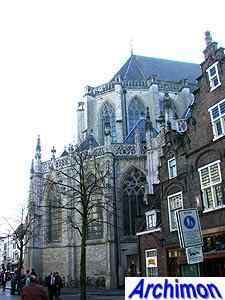 The first evidence of a church on this location dates from 1269. 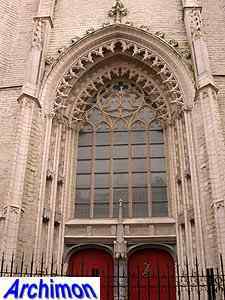 This must have been at least the second church. 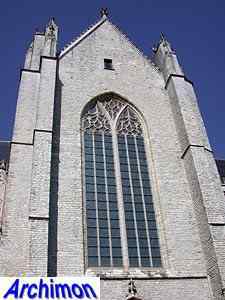 History of the current church began in 1410, when the construction of a new church was started, which gradually replaced its predecessor. 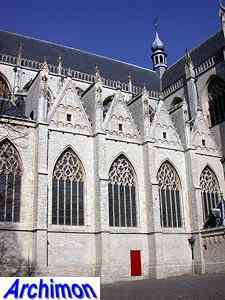 The first part that was built is the choir, followed by the nave and side-aisles, the transept and the chapels to the side of the church. 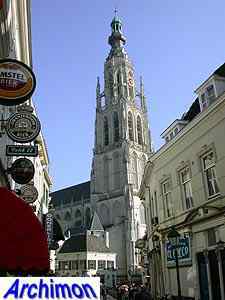 A tower was built later. 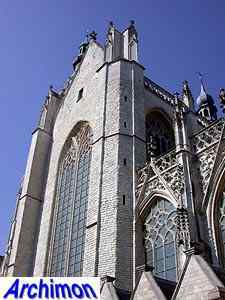 Some sources state that the tower collapsed in 1457. 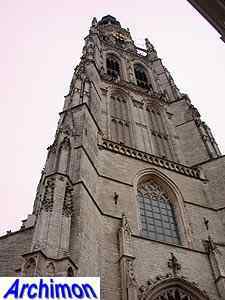 This is uncertain, but construction of the current tower was started in 1468 and was finished in 1509. 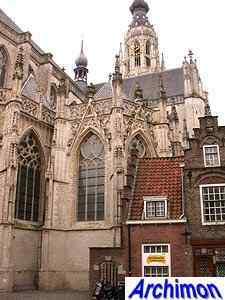 But the church as a whole wasn't completed until 1547. 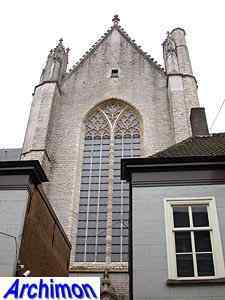 After the Reformation the church changed owners several times, and became a protestant church definitively in 1637. 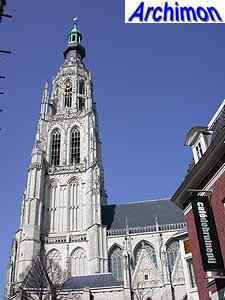 This started a long period of decline, as the church was far too big for Breda's small protestant minority. 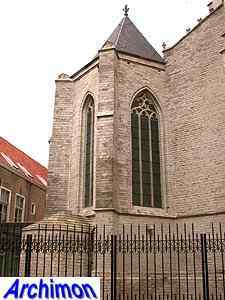 After 1795 a proces was started by the new government, which was installed by the French, to return former catholic churches to the catholics in those places where they were a majority. 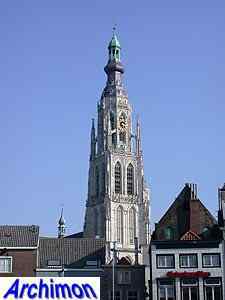 Breda's protestants managed to stall the proces until the government gave up on the whole idea, and the church was never returned. 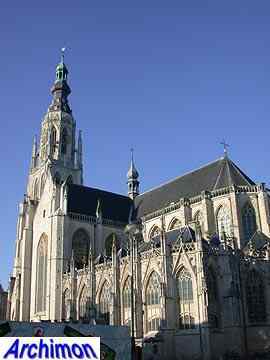 Today it is mostly used for cultural events. 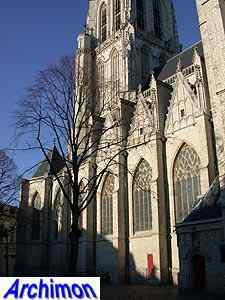 Inside the church are among other things the tombs of various rich and important people, including several Polanens and Nassaus, ancestors of the current royal family.